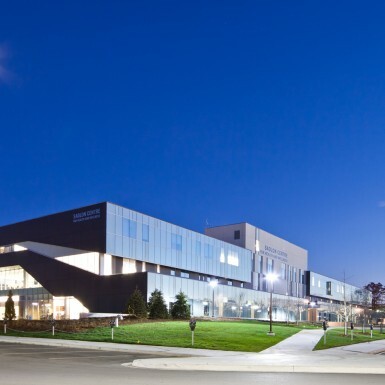 The new Sadlon Centre for Health & Wellness has a prominent public location at Georgian College, framing the entry road into the campus. 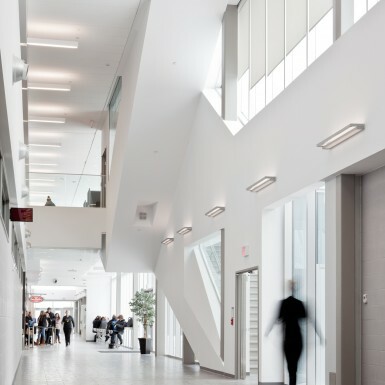 The architecture has a distinctive public front that welcomes patrons into the facility through a naturally lit, double-height lobby. 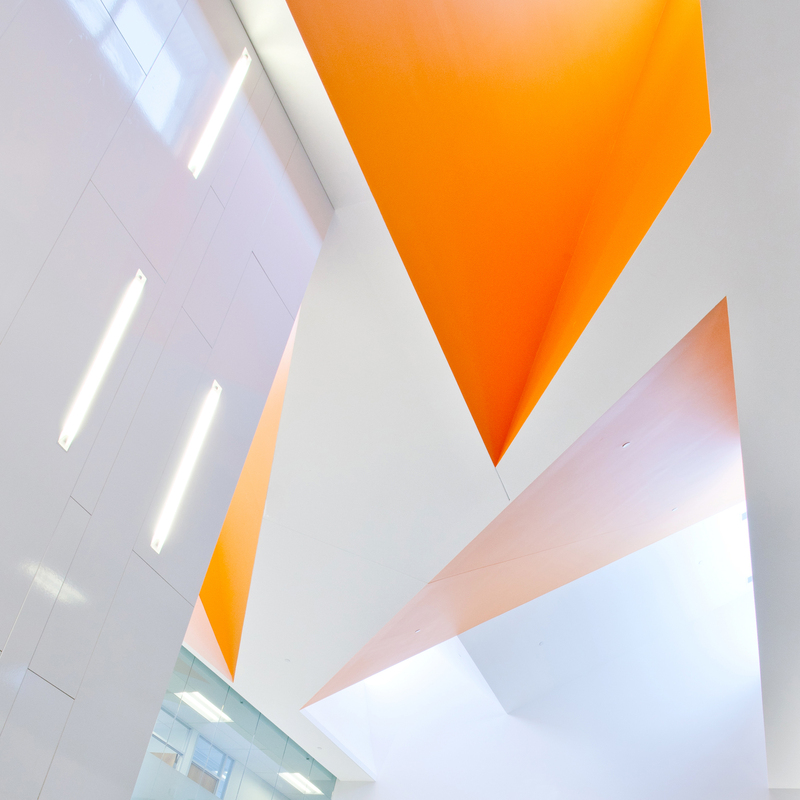 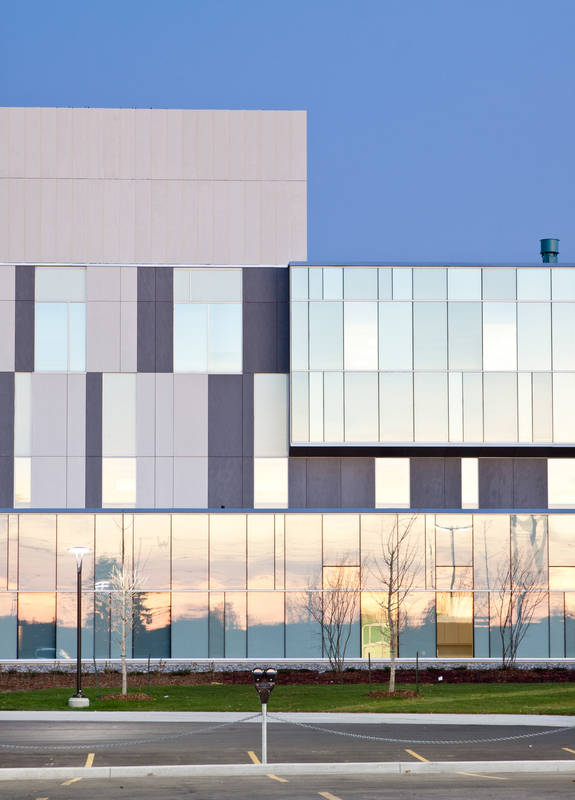 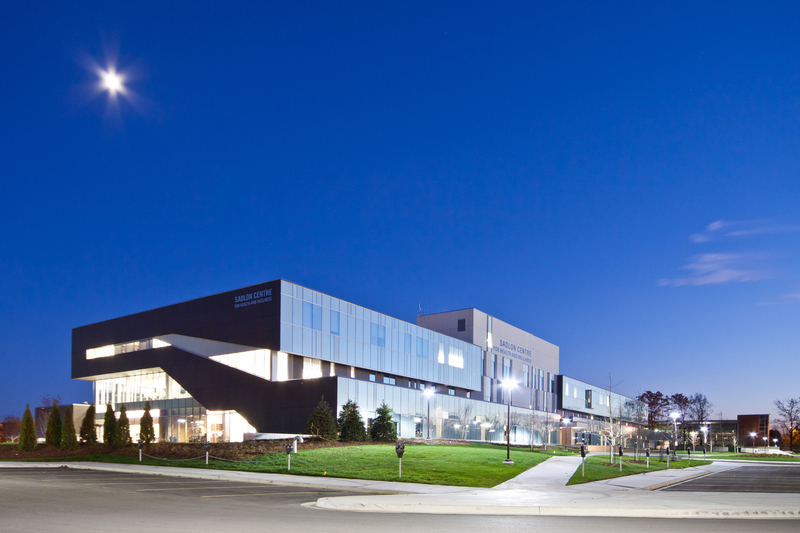 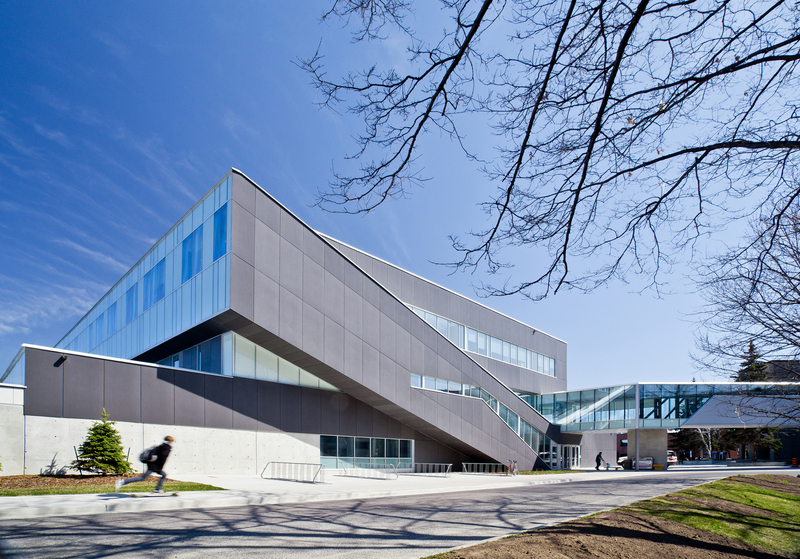 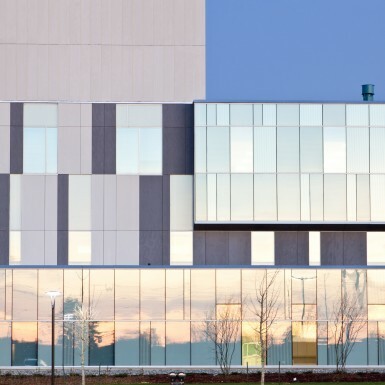 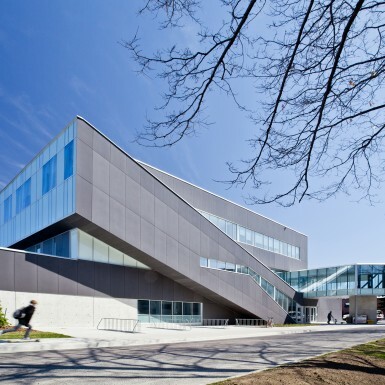 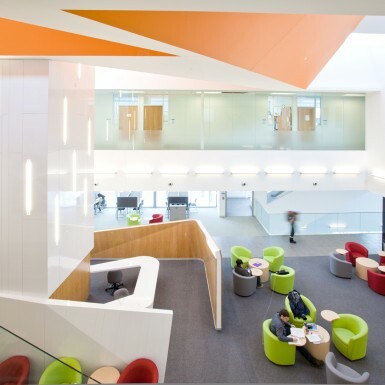 The building brings together the College’s health-related disciplines in an inter-disciplinary environment consisting of teaching clinics that are open to the public as well as a variety of health and science labs. 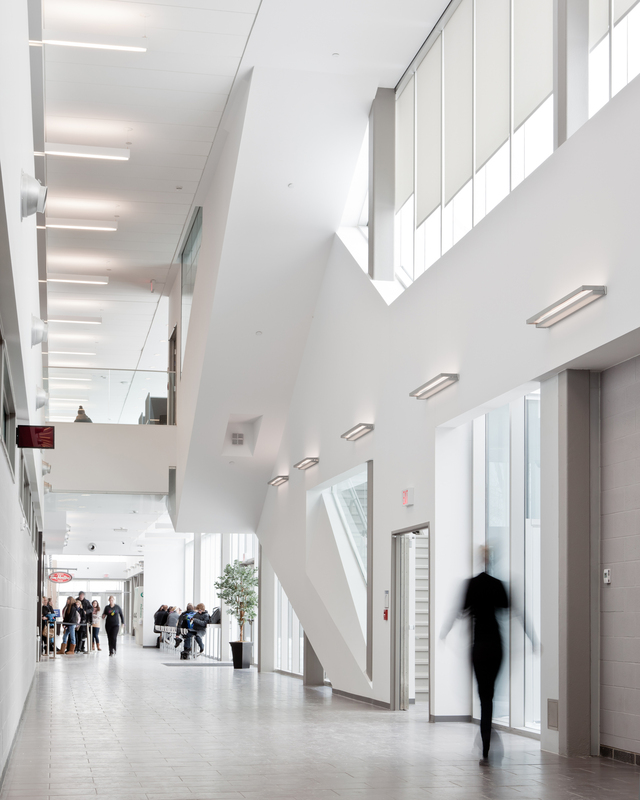 Classrooms are designed to the most current, flexible, teaching standards including network and wireless capabilities. 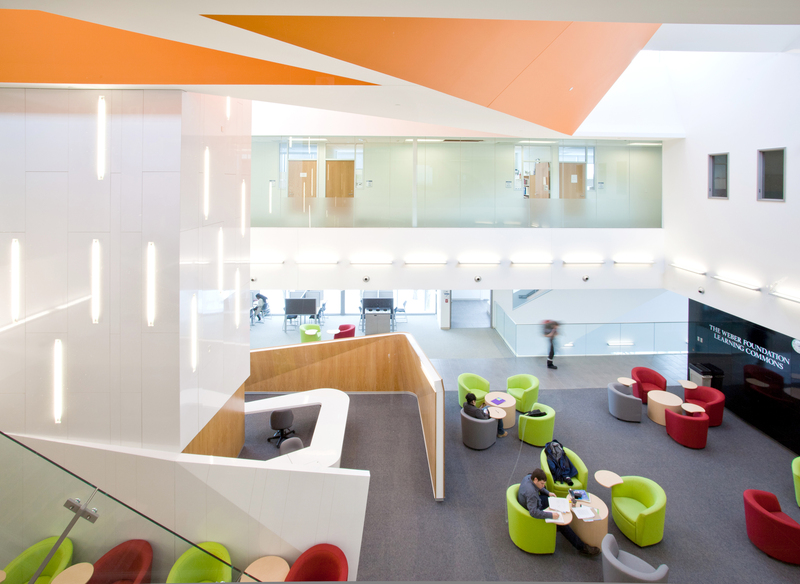 The final design achieves the primary goal of creating a synergetic learning environment with a strong focus on cross-disciplinary learning.